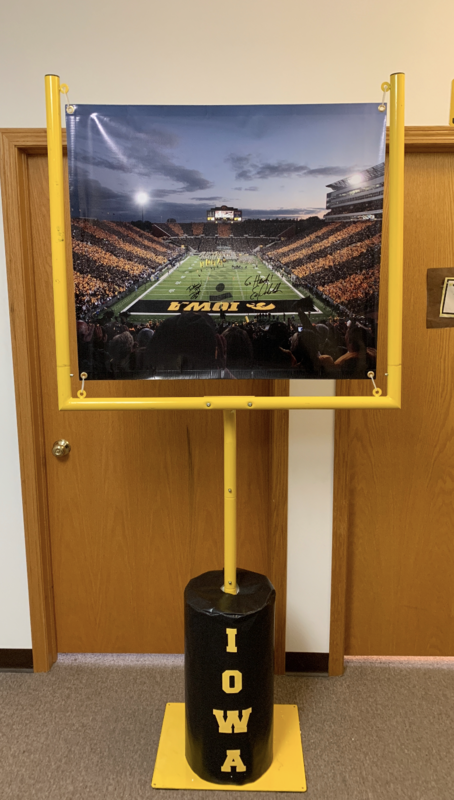 Iowa Hawkeye Football Goal Post Indoors/Outdoors Beach Yard with Kinnick Stadium Banner. Goal post stands 7' 2" tall and 3' 3" wide. Powder coated goal post frame with heavy metal base plate with holes for tent stakes (not included) for securing to the ground. Approximately 27 pounds. Make this collectible the center of your Hawkeye room or man cave. This metal framed goal post comes complete with a heavy metal base plate with holes for tent stakes for securing to the ground (not included). The base also features IOWA gold lettering embroidered on a black leather goal post pad. The interior of the posts display a 29.5 inch by 33.5 inch photo banner. 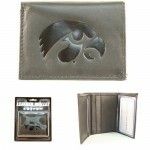 The one pictured is included in each set and features a Black and Gold striped Kinnick Stadium. The banner is interchangeable allowing you to customize any photo to put in between the posts. The sturdy steel frame structure allows for many purposes. 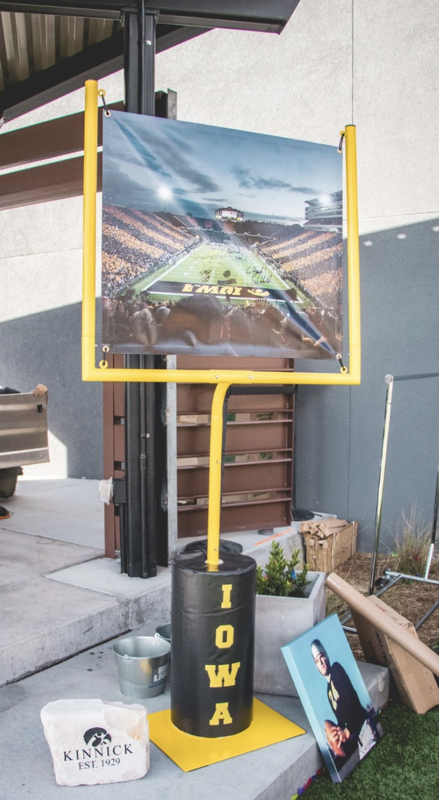 Use it as the centerpiece for your next tailgate or Hawkeye event. Change it up and put a personalized photo or next years schedule. Use it for games in the yard and allow for long field goal kicks.